It is a virtual prepaid card designed exclusively for purchases on the Internet; The map is a complete analog of an ordinary plastic Visa, but only in electronic form. 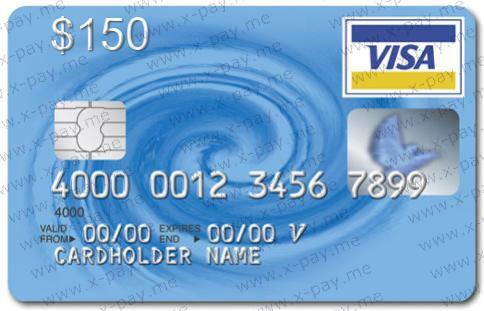 When you purchase you automatically get the card details: a unique sixteen-digit card number, CVV2 code and expiration date of the card (expiry date). Maps have excellent maneuverability on a huge number of sites, both Russian and foreign, working with people from Russia. It is recommended to buy a card with a margin of a few dollars (at least 1) in the event of card pre-authorization service, where you use it, the possible hidden fees or other surprises. Cards are accepted in such services as PayPal, Steam, Alertpay.com, Vkontakte.ru, Eveonline.ru, WOW RUS, Ebay, Google Adwords, 2co.com, Aeroflot.ru, 3zoom.com, iTunes RU, DarkFallOnline, 4game. ru, PartyPoker.com, Google Checkout, GodAddy, efax.com, Mlb.com, s7.ru, WordPress.com, Platezh.ru, Apple.com, Gosloto.ru, Phstore.eu, Fxclub.org, Kajabi.com , McAfee.com, NCSoft.com, Website.ws, Mchost.ru, LineAge, iTunes.com, Google.com, Eveonline.ru, PSN RUS, Casino.com, Microsoft.com, Ventrilo, Snapnames.com, Dreamhost. com, FonBet.com, Moneybookers, Amazon, mysite.com, Wizards.com, Namecheap.com, Nunames.nu, Plimus.com, Pokerstars.net, re-Store.ru, Ozon, Yahoo, PwOnline.ru, RFonline. ru, RZD.ru, Skype.com and many many others.